Have to say, I really expected more from them. They're a long-established group with years to plan, and that's what they come up with? I hate to give them ideas, but there's a much better joke in there. 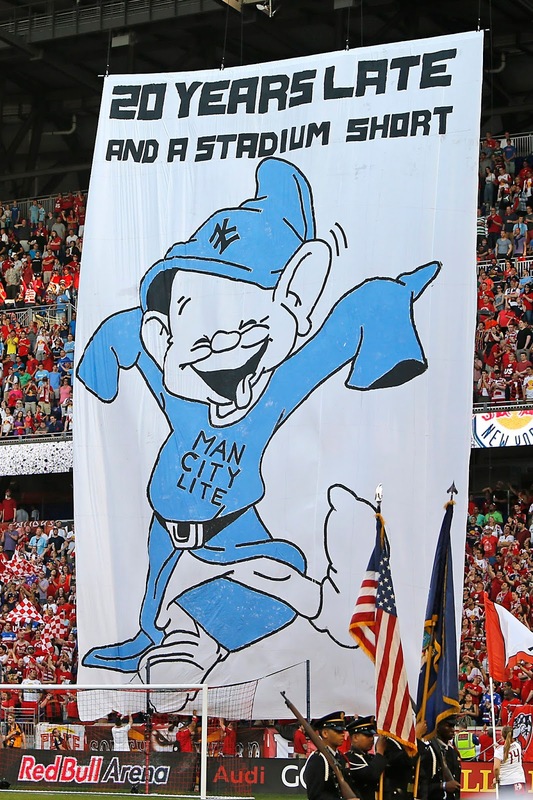 Put Man City marks on Dopey's oversized smock and the caption "Dressed Up in Your Daddy's Shirt" or "Your Father's Shirt is Too Big for You to Fill" and it would have been biting. This was just flat. The slogan's a bit lame. Yeah, you've been around for twenty years. But you haven't exactly filled those years with glory. 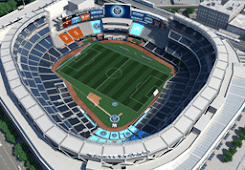 And the stadium? If you want to give us a hard time about playing in a baseball park, surely there was a better way to do it. A clown car, perhaps, or some other ill-fitting and cramped image. Once again, well short of what I was expecting. The choice of Dopey is an odd one as well. It's been relayed to us by people in their Tifo group that the figure was a Smurf. Or at least they thought it was a Smurf. So somebody in Harrison failed Google. A Smurf might have been more clever, if a little obvious. 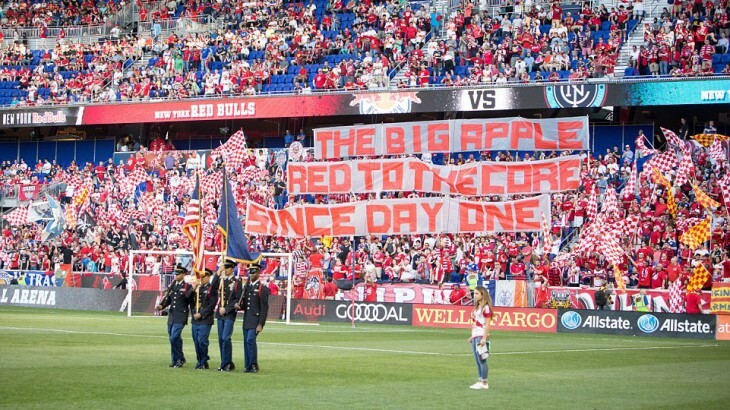 Before the not-a-Smurf was unveiled, we saw another tifo of more modest design but displaying a much stronger message. Hats off for that one - very well done. We've got some great ideas for their trip to the Bronx, and even before seeing this limp attempt I would have put my tifo team up against theirs any day.